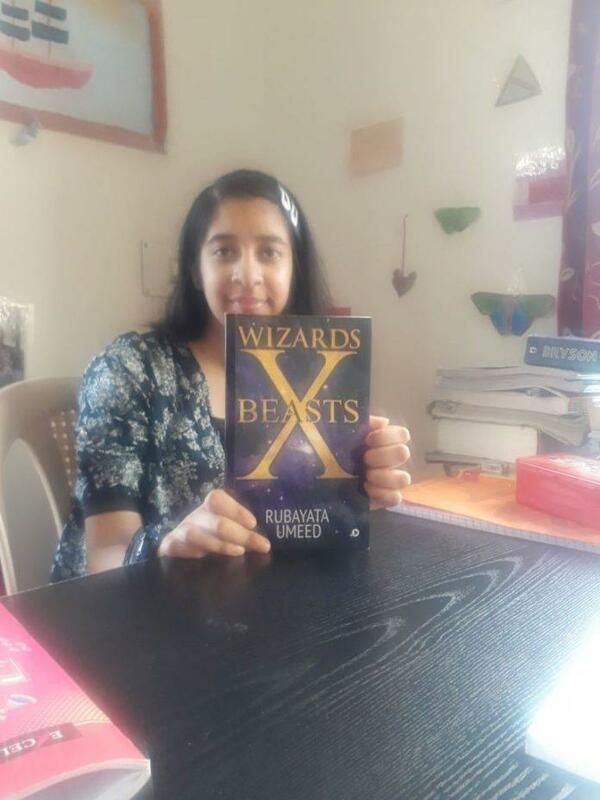 Kashmir, Nov 21: Rubayata Umeed, a 14-year child from Kunzer became the author of her first novel. Despite Being Just at the Tender Age of 14 where mostly children use their time in playing and Fun Rubayata had Something Else in her Mind. Rubayata loves to write poems and stories, adores nature, animals and birds and concerns herself with environmental issues like pollution, global warming, green house effects and such. She also enjoys being engaged in solving mathematics and physics problems. Her favourite country is Japan. She is fascinated by the lifestyle, the education system and the technology of Japan. “She is inclined to writing Japanese characters and assign them their suitable roles and would play her own written plays with her cousins,” said her mother Dr Hameeda. Rubayata would write lines for her mother at different occasions be it Mother’s Day, women’s day or any other special day but this time she wrote almost 20 thousand words which was a beautiful novel with a beautiful story worth sharing and publishing, she said. Rubayata’s first novel Wizards X Beasts was published by notion press. She is among those rare children who have authored a book at such a tender age. She is writing her second novel which will be published in coming months. Appreciating the Talent of Rabayata , Many Analyst's Said that Such Talent Should not be Ignored but Various Steps Should Be Taken by Government , Education Department , Parents and Schools to Encourage Such Children.